Watershed Stewardship Center, located in the West Creek Reservation, is the first facility in Cleveland Metroparks dedicated to scientific research and promoting sustainable action. Science-based programs invite teachers, students, professionals and the public to learn about replicable stormwater management methods. The Watershed Stewardship Center in West Creek Reservation, staffed by natural resource and education professionals, land protection specialists, volunteers and visiting scientists, is the first facility in Cleveland Metroparks dedicated to scientific research and promoting sustainable action. Its mission of enhancing and protecting our urban watersheds will be achieved through innovative community programming, encouraging regional participation in watershed issues and promoting scientific discovery. 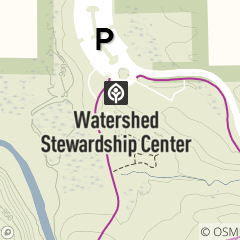 The Watershed Stewardship Center’s mission is to protect and enhance the health of local watershed. Its key partners include the Northeast Ohio Regional Sewer District and West Creek Conservancy. Confluence Multipurpose Room Cleveland Metroparks requires that Multipurpose Room be used by permit only for educational programs, civic organizations, corporate/business meetings and special events. Learn about three different ways scientists examine our water. Scouts! Join our certified counselors for a chance to complete most of this merit badge. Our certified merit badge counselors will lead scouts through an opportunity to complete this badge.